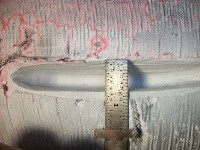 This suction roll was found to have two cracks that were on the inner diameter. 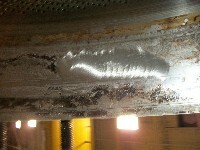 Metal Surgery went on site and excavated the cracks until they were completely gone. These were then welded up using a special procedure and closely monitored for heat utilizing hand held pyrometers and a cooper heat machine with digital readouts. 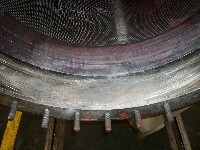 This being a duplex stainless steel and the cover that was on the roll called for the heat to stay under 200 degrees. 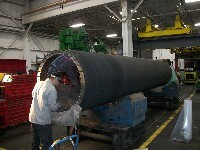 These areas were hand finished and the roll was once again ready for production.